Most Bluetooth speakers are inherently designed to be portable. This is more or less the whole point of a Bluetooth speaker. However, some users like the wireless part of the story, but want to have a speaker to use exclusively at home. If you’re looking for something that fits this description, you are in the right place. We have selected a number of Bluetooth speakers which work great for home use. Some of them are among the best Bluetooth speakers in general, while some are more cost effective by nature. Let’s get started and see what we’ve prepared for you. One of the most powerful portable speakers out there. Awesome and stylish design which is easy to work with. 200 Watts of power coming from 5 drivers. 9 hour battery life for such a massive unit. A bit too boxy for modern standards. Aiwa used to be one of the giants of the industry not so long ago. In the meantime their popularity fell off, but their hardware is still top notch. Aiwa Exos-9 Portable Bluetooth Speaker is all the proof you could need for that claim. It is a big body speaker with plenty of features and quite awesome hardware to offer. If you’re looking for something powerful, you have found it. This Aiwa speaker packs 5 drivers, all of which will get you 200 Watts of pure power. That is quite an impressive output for a portable speaker. Best of all, it will run for 9 hours before it needs a recharge. When you add the customizable EQ, it’s a beast. A different kind of design that's great for indoor use. Comes packed with awesome hardware and drivers. Good battery life means more independence. With IPX4 protection, it is splash proof. Not much to look at aesthetically. 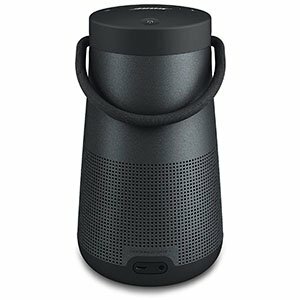 Bose SoundLink Revolve+ is one of those speakers that have numerous uses. However, due to its fairly unique design, it is truly a great piece of kit to have in your home. Where most other speakers follow that boxy mantra, Bose has gone with a more tubular design. By doing so, the idea was to offer a 360 degree sound. Did they achieve that? We’d say they did. At the core of SoundLink Revolve+ lies a 3.6″ full range driver. It’s loud enough and refined enough to deliver the necessary quality of sound but also the necessary volume. It works great outside, but inside it is just awesome. With at 16 battery life, you won’t be charging it often. One of the better looking speakers in this segment. Features great hardware and good full range drivers. Comes with two efficient passive bass radiators. Water resistant chassis makes it a good bathroom speaker. Clunky software is probably its main flaw. If there is one brand that never fails to surprise when it comes to speakers in general, it is Sony. Their designs are always full of purpose, practical and generally easy on the eyes. 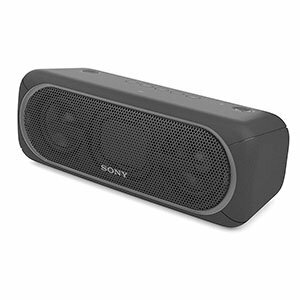 Sony XB40 Portable Wireless Speaker is no different. This bad boy brings plenty of awesome features, most of which apply well in the indoor environment too. What we appreciate the most is the additional bass. No, there isn’t a subwoofer cone in there. Instead, Sony has installed two full range drivers and fitted them each with a passive bass radiator. The result is quite impressive, especially in close quarters. On top of that, it comes with a 24 hour battery and decent water resistance to boot. Classic Marshall aesthetic that will never go out of style. A full complement of speakers ensures good sound. Great set of features and options. Supports aptX technology and latest Bluetooth standards. There is no internal battery in this one. Marshall is one of those names many recognize, whether or not they ever touched a guitar. With that said, this brand has been making efforts to expand their reach. One part of those efforts comes in form of their awesome Bluetooth speakers. Meet Marshall Stanmore Bluetooth Speaker. It is a pretty functional little speaker that brings that classic Marshall aesthetic. Underneath all that vinyl and mesh, you will find a complement of speakers which put many flagship models to shame. We are talking two 3/4″ dome tweeters paired with a single 5.25″ full range driver. All of these combined deliver 80 Watts of power to your ears. 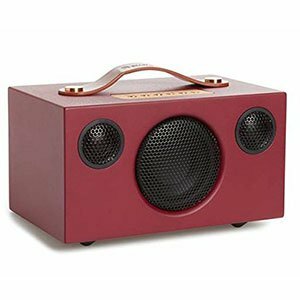 It’s a perfect little speaker for your bedroom or living room. A very functional and neutral design. Designed to work under heavy office conditions. High quality omni directional mic ensures good communication. 16 hours of battery life is enough for indoor use. Although loud, there could have been more volume. Bluetooth speakers for home use are a category that is slightly different from your regular Bluetooth speaker. With these, you are presented with features that don’t necessarily work outside. 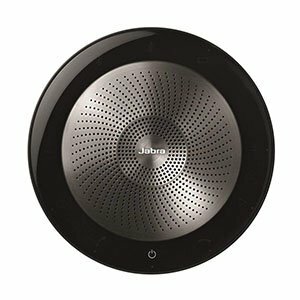 Jabra SPEAK 710 is one such indoor oriented model. It’s main purpose is to deliver good sound but also have your voice heard on the other end of the line clearly. One of the best looking Bluetooth speakers out there. Features great hardware and plenty of cool features. 30 hours of battery life per charge is pretty awesome. Overall good build quality which inspires confidence. Relies on proper placement for optimal performance. Most modern Bluetooth speakers are trying too hard to look, well, modern. That’s exactly where Audio Pro Addon T3 takes off in its own direction. This is one of those speakers which have a unique nature, design and overall feel to it. Due to the formant and aesthetic Audio Pro has chosen for this build, it’s great for home use. Aside from different aesthetics, Addon T3 offers 25 Watts of pure power being pushed through all three of its speakers. It comes with a single full range driver and two dome tweeters. Overall, the sound quality is among the best in its class. Best of all, the battery will last you up to 30 hours. That’s perfect for home use. Design focused around delivering optimal acoustic experience. A whole suit of software features to enhance that experience. Overall build quality just inspires confidence. Not exactly the most portable thing out there. In a market full of speakers designed for extreme conditions and environments, it is great to find something domesticated and refined. 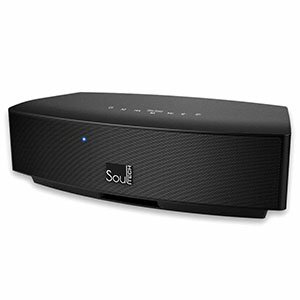 Soultech Brilliant Soul Wireless Bluetooth Speaker offers exactly that. 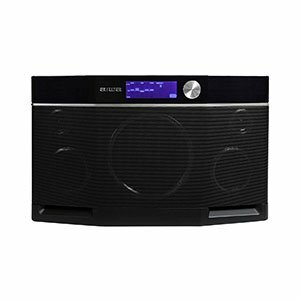 It is a massive Bluetooth speaker whose main goal is to offer high quality sound. Portability wasn’t all that important, and that is a good thing in this particular context. So, what makes it so interesting? The hardware that’s packed under that stylish exterior is just the start. You get two full range drivers and two bass speakers. Together, these offer quite a sonic experience. Among other things which define the Brilliant Soul, software is probably the next most important thing. Advanced EQs and other features really make it functional. A unique yet functional design that offers something different. Good quality of sound and plenty of volume. Impressive functionality which opens up great options. A truly amazing level of build quality. The battery could have been better for sure. The entire Onyx series of Harman Kardon speakers is impressive to say the least. These offer good sound, but also a lot of functionality that you don’t get to see too often. 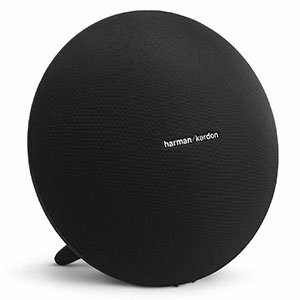 Harman Kardon Onyx Studio 4 is probably the best example of what we mean. It’s features that unique design that makes it perfect for home use, and more. The sound quality coming from its main transducer is quite impressive. You are getting more than enough volume for the size, great definition and just a wholesome sound. The battery offers 8 hours of use. However, what really makes it interesting is the fact that you can connect up to 100 of these speakers in a network in your home. An affordable setup that will look good in any room. A good composition of hardware and transducers. Plenty of bass from such a small speaker. Good battery life of 8 hours offers plenty of use. Not the easiest shape to pack. The idea that you have to invest a large amount of money into a speaker if you want decent sound is no longer true. 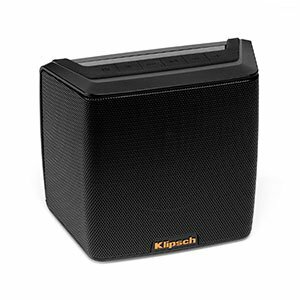 There are awesome portable Bluetooth speaker like the Klipsch Groove Portable Bluetooth Speaker, which won’t destroy your bank account. This is probably the best Bluetooth speaker for home use on a budget that you will find. Klipsch is one of those brands who really know how to make a good speaker. That much is obvious even in basic models like this one. With a 3″ full range driver, dual bass radiators and an 8 hour battery, it is more than impressive. Especially at this price. The sound quality is surprising to put it in simple words. What Makes A Good Bluetooth Speaker For Home Use? The deal with Bluetooth speakers is that you will rarely find one that is specifically design for one purpose or another. Most of them were built to be portable and offer wireless music streaming from smart devices. However, some models are better are inherently optimized for home use. The criteria they have to meet is not that strict. You want your home Bluetooth speaker to have a decent amount of power, a good set of transducers and overall good performance. Battery life doesn’t really matter since it won’t be too far away from a wall socket anyway. Models we have shown you above represent a cross section of what a good Bluetooth speaker for home use might look like. Some of them belong to the $200 price range, while others are generally cheaper. Going with super affordable models, like those found in the $50 price range, probably won’t get you the best results. These speakers are generally underpowered to say the least. If we take our number one pick as an example, we see a great selection of transducers as well as a whole lot of power. 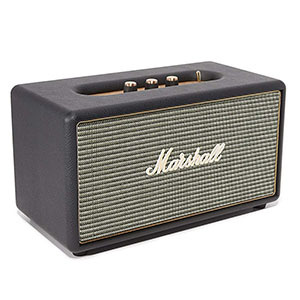 With that said, Marshall Stanmore goes against everything Bluetooth speakers are about. It is large, but that doesn’t really impede its mobility since it has no battery in the first place. That makes it a perfect Bluetooth speaker for home use. Another question that you should ask yourself is whether or not you want to use your Bluetooth speaker in the bathroom? If your answer to this question is yes, you will definitely want to get something that is water resistant at least to a certain point. The main issue here is that water resistant speakers are often designed for outdoor use, which means they will have limited power as well as limited performance. One of the few models we found to be worthy of home use is the Sony XB40. Its tone is just great considering that its coming from a tiny speaker. Overall, knowing what kind of space the speaker will need to saturate and what kind of use you have in mind, should help you a lot towards refining your choices. Finding a Bluetooth speaker strictly for home use requires a certain amount of compromise. Rarely will you find a model that was built for this purpose alone, however speakers like that do exist. Our selection represents what we think are the best choices at the moment. We’ve balanced out price, performance and other factors in order to reduce the selection to several good choices. Each one of these should give you more than decent sound at home, especially if you plan on using them in a medium sized room. With that said, we hope that you’ve found this guide helpful.